Government-funded National Book Trust (NBT) has dropped a chapter on Narmada Bachao Andolan activist Medha Patkar from a children’s book after an NGO objected saying she was a political person after she joined the Aam Aadmi Party (AAP) and therefore should not be included. Ahmedabad-based National Council for Civil Liberties founder VK Saxena had filed a written compalint to the Ministry of Human Resources (MHRD), which in turn referred it to NBT, who dropped the chapter. Written by Thangamani, the children’s book, Children Who Made It Big, traces the childhood of 12 famous personalities, including sarod maestro Amjad Ali Khan, chess player Vishwanathan Anand and author Ruskin Bond and is part of the school curriculum in many states. 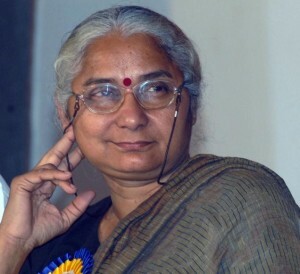 Reacting to the news, Medha Patkar said VK Saxena was a supporter of the Sardar Sarovar dam and opposed the Narmada Bachao Andolan, the movement that opposed the construction of the dam. NBT director MA Sikandar defended the action, saying,“The NGO has been writing to us about it. After we received the letter from the ministry, we re-examined the issue and under changed circumstance we decided to drop the chapter”.